After the war we lived in small, military housing on a barren hillside in San Pedro. I recall walks to a small pond and going down to the breakwater to meet Dad who would go down early to fish. At some point we moved to a little house behind June’s in West Los Angeles. 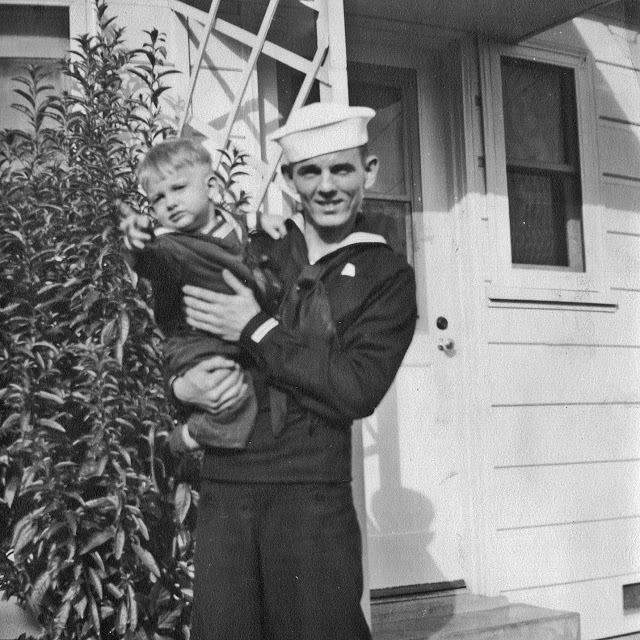 Also, at some point dad worked as a mailman with his Navy buddy, Clayton. Soon he passed the exam to start as an apprentice with the LA Department of Water and Power and worked out of a station near the Veterans’ Home in West LA. 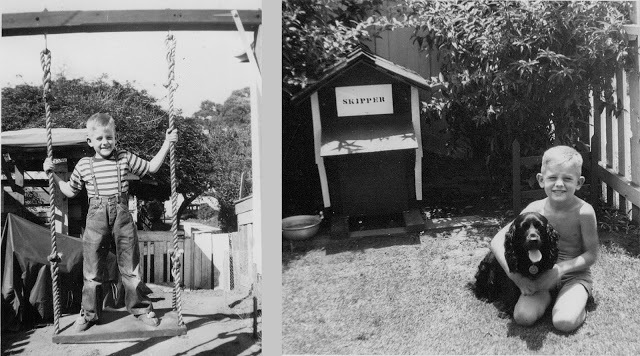 Dad made some efforts to better himself, reading general books of knowledge, doing little projects out of Popular Mechanics magazine, drawing cartoons, making little wire baskets… none of which ever amounted to much.